More simply put, team building is a tool for helping a team of individuals work better together. For instance, team building activities can help individuals learn different ways of communicating and help develop more positive perspectives on change. Or, if you prefer a “glass half empty” perspective, it’s a way to work on team issues such as poor communication, lack of trust or unrealistic expectations. The reality is that many people talk about working together as a team, but few people really know how to develop an effective team. Working as a team is a journey and certainly isn’t achieved through one meeting, but a corporate team building event could be just the thing your team needs to kick start their development. We all have examples of “bad” team work, but sometimes it’s difficult to pin point exactly what good team work looks like. A well-organized team building activity can provide a fun context for developing practical experiences that your team will remember forever. The Small Group Research journal paper “Does Team Building Work?” analyzed data from 103 studies conducted between 1950 and 2007 and provides strong evidence that team building can have measurable, positive effects on team performance. Of course, not all team building activities are created equal. 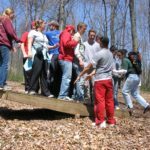 Many have attended poorly organized team building events and as a result have formed less than positive feelings towards participating in future events. 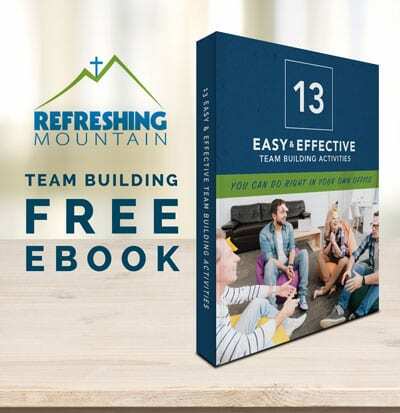 One study from Citrix found that 31% of respondents said they can’t stand team-building activities! That being said, research from the American Psychological Association (APA) found that team building activities helped employees feel valued. In fact, “almost all employees (93 percent) who reported feeling valued said that they are motivated to do their best at work.” Now that’s a result any employer or team leader would like to achieve! To summarize what we’ve learned so far, team building events can be a key tool towards achieving harmonious bliss in your team…but only if they are done well and make people feel valued. So what kinds of events have proven effective? In an U.S. News & World Report interview, David W. Ballard, head APA’s Psychologically Healthy Workplace Program, shares the following top 5 team building activities: volunteering, physical activities, field trips, professional development activities & shared meals. In other words, get your team out of their work environment and give them something constructive and active to work on together. Even better, find a way to tie in back to honing their work skills and feed them when you’re done! 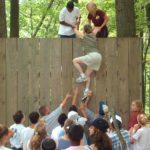 Many organizations find that great leaders don’t necessarily make great team building event planners. In fact, it’s better for the leader to be an active participant in the activity versus being stuck running the event. The key is to find a company that has the resources to create the right environment and activities to give you’re the space to do something fun and meaningful together. 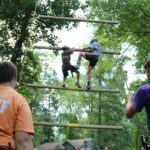 For instance, here at Refreshing Mountain, we’ve provided a wide variety of outdoor adventure activities that are fun, interactive and foster teamwork. We have trained facilitators who will lead your group through a series of problem solving challenges, all designed to promote more effective communication, conflict resolution and other positive team behaviors. We also offer conference meeting space and catered meals. In summary, teams need fun activities outside of work to help foster good team work and it doesn’t have to be hard or expensive. 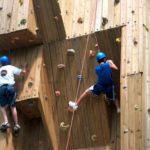 Refreshing Mountain offers corporate team building event packages starting as low as $14 per person. If you don’t have the time or budget to organize a full event, consider at least getting the group outside of work to share a meal together!